Season three of Daredevil might not have drawn in as many viewers as previous seasons, but the show left critics impressed. For its third installment, the show was ready to shake things up with a brand new showrunner. Erik Oleson, former showrunner for The CW’s Arrow, was eager to push the series in a new direction. He explained in an interview that he wanted Daredevil to reflect his views on the current political climate and explore how fear affects us. Olsen made Karen Page one of the driving forces behind the season and a representation of the free press. In addition to Page, he highlighted a different set of concerns by introducing the character Benjamin “Dex” Poindexter. Better known to fans as Bullseye, Pindexter is depicted as an FBI agent turned violent criminal. His trajectory on the show explores the tragic circumstances that lead someone to commit inexplicable acts of mass violence. Olsen’s attempt at examining contemporary society has been largely successful. 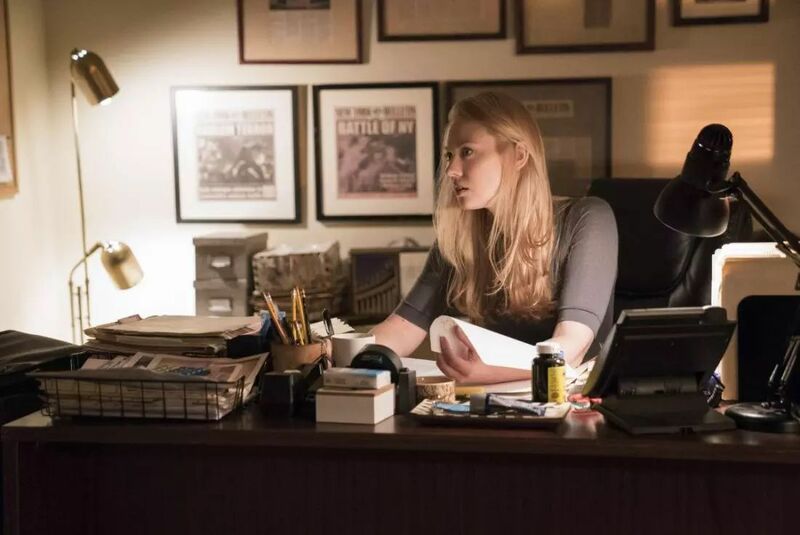 Although Daredevil has its finger on the pulse of present-day concerns, makers of the show sometimes overlook minor details from the real world. Whether they are portraying a criminal case or just walking the streets of New York, Daredevil often mixes up the facts. This list breaks down some of the factual errors found in the series and points out a few continuity hiccups as well. Here are 20 Mistakes Fans Completely Missed in Daredevil. During a film or television production, body doubles often step in to shoot difficult scenes. Body doubles are not only employed in fraught or action-heavy scenes, however. If a production needs detail shots or to reshoot a scene, a body double often stands in for the star. In the episode “Resurrection”, Fisk is preparing an omelet in his prison cell with the help of a stand-in. 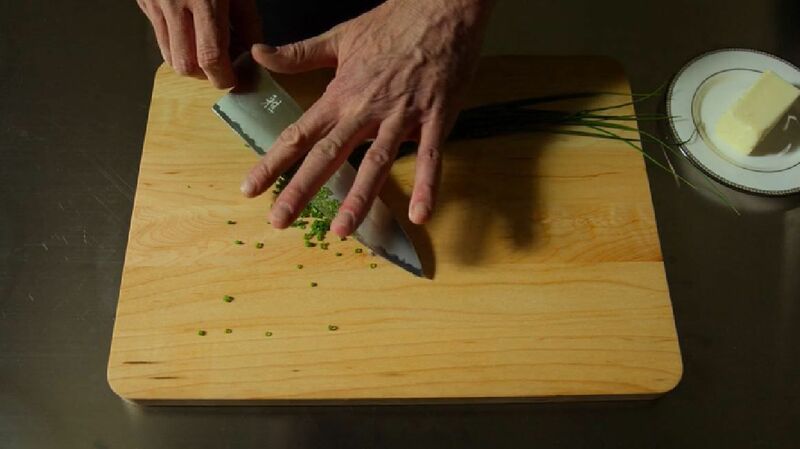 The scene includes close-up shots of his hands chopping away at a bundle of chives, but the hands clearly belong to someone else. Using a double for this scene makes sense, but they should have sought out a better match for Fisk’s hands. Ever since Bruce Willis scaled the floors of a skyscraper in Die Hard, walkie-talkies have been the go-to prop for direct hero-to-villain communications. 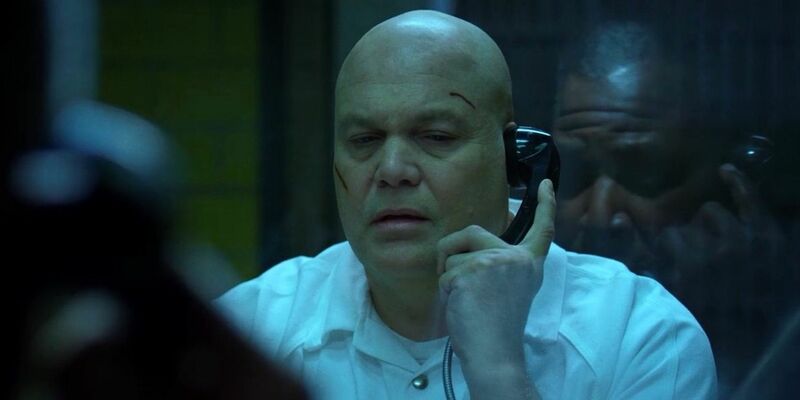 Daredevil embraces the trope with a conversation between Daredevil and Wilson Fisk in the episode “Condemned”. Although walkie-talkies look the part, they have pretty much gone out of use in the digital age. As a result, actors and directors are often unsure about how they actually work. In Daredevil, Fisk and Matt converse back and forth — even interrupting each other at times — over the device. With a real walkie-talkie set this would never work; walkie-talkies transmit via radio frequency and only allow for one direction at a time. To put it simply; a walkie-talkie carrier may either listen or speak, but they cannot do both at the same time. One of the most highly anticipated events of Daredevil’s third season was the introduction of Benjamin Poindexter. Fans of the show were eagerly discussing his casting online, but some audiences had already spotted the hawk-eyed assassin long before that. 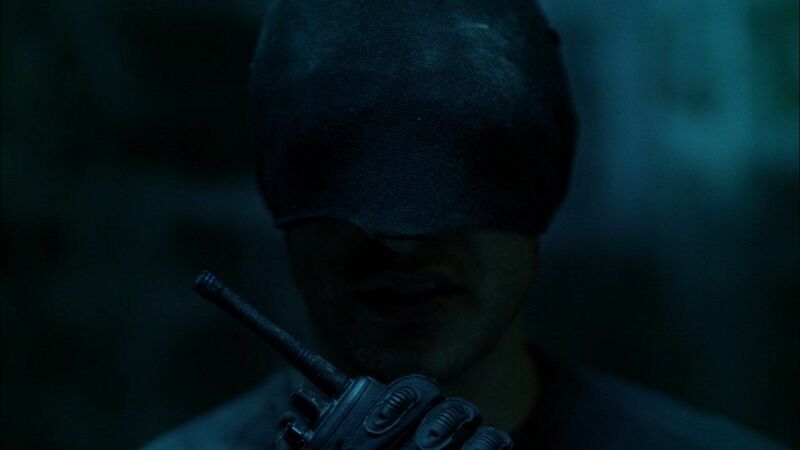 In Daredevil’s first season, one of Fisk’s men exhibited remarkable sniper skills. He was later shown to be carrying around a playing card in his bag — an item often associated with Bullseye in the comics. All the evidence pointed to a Bullseye Easter egg, but Oleson decided to abandon the initial version of the villain. Daredevil season 3 proved that some mistakes are worth making, and that canon can be overlooked in exchange for a better vision. 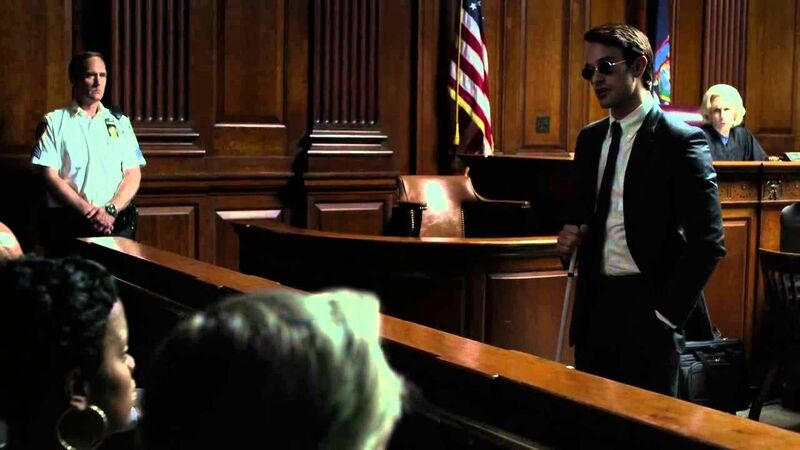 Daredevil depicts Matt’s blindness in a refreshingly realistic way. Nevertheless, some of Netflix’s initial choices still puzzled members of the audience. When the show first premiered, fans were surprised to find that it could not be enjoyed with audio descriptions. Audio descriptions help visually impaired audiences understand what unfolds on screen. Netflix took heed and decided to add them not only to Daredevil but to several other shows as well. 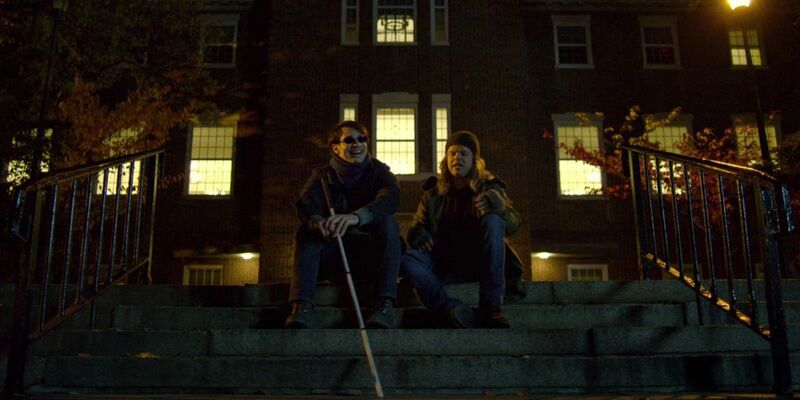 Despite its mostly accurate portrayal, Daredevil still takes some liberties with Matt’s disability and powers. In the episode “Speak of the Devil”, Matt seems to be reading a map with his fingers. 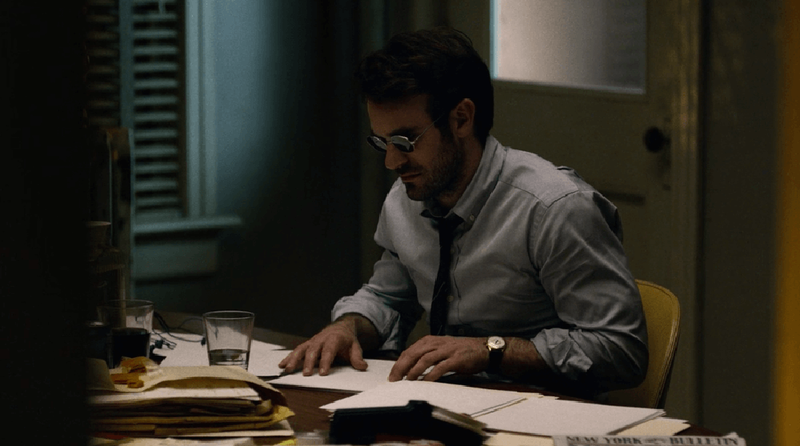 In the comics, Daredevil could make out headlines from the difference between ink and paper, but deciphering a series of criss-crossing flat lines seems like a stretch– and a convenient plot device. The team behind Daredevil apparently skipped some paragraphs of New York State’s Vehicle and Traffic Law. Paragraph 375 of the code clearly states that police cars can only have blue lights attached to the rear end of the vehicle. Despite these unwavering regulations, Daredevil often features police cars that have blue lights attached to the front. The show’s blunder may, however, turn out to be a happy accident. A 2004 study by the Florida Highway Patrol suggest that motorists and pedestrians benefit from a combination of blue and red lights on emergency vehicles. Red lights give the illusion of being further away, so the addition of blue lights helps people assess the distance of an approaching vehicle. It’s a fitting mistake for a show that often focuses on how sight affects our ability to navigate the world. Netflix’s lack of audio descriptions was not the only aspect of the show that irked minority audiences. Online critics also reacted to the show’s narrow representation of Asian cultures. Arthur Chu from The Daily Beast expressed dismay over how the show played up stereotypes about eastern mysticism and ninjas. A short scene in season two’s sixth episode highlights the show’s lacking knowledge of Asian culture. Towards the end of the episode, Elektra browses through a ledger she stole from Roxxon’s headquarters. 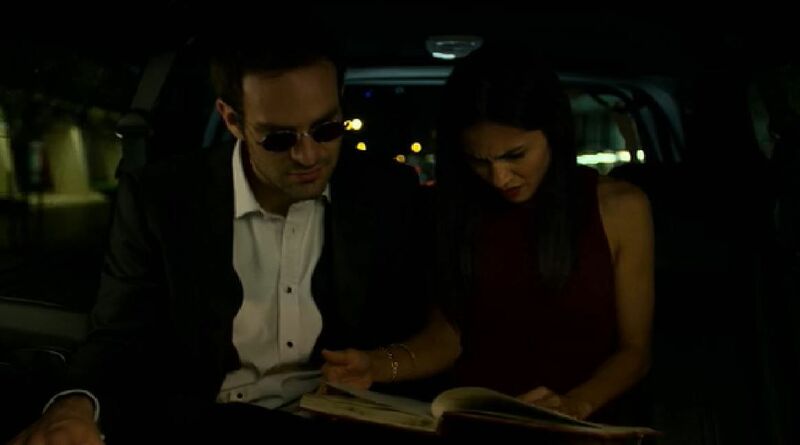 It comes as a surprise to Matt that she can read Japanese, and to anyone familiar with the language it should come as a surprise as well — Elektra is reading the ledger backwards. While she skims from left to right, the Japanese language, as any manga-reader could tell you, is usually read from right to left. When he comes up against the Punisher, Daredevil’s fundamental beliefs are put to the test. As his name implies, the Punisher is as much a proponent of justice as Daredevil, but their methods differ. Whereas Daredevil opposes taking lives, the Punisher believes criminals are irredeemable and must be exterminated. In an extended scene in the episode “New York’s Finest” their two world views come up against each other. As Daredevil sits chained to a pillar with a gun taped to his hand, the Punisher sets forth an ultimatum; Matt must terminate Frank– if not, the Punisher will eliminate a gangster he has taken hostage. Daredevil’s predicament seems inescapable, but attentive viewers might notice that the gun is suddenly missing from his hand. Alas, it reappears in the very next shot, as it turns out that the missing gun was a mere continuity error. According to these indications, the show’s real time should take place in the future. However, in season two’s finale, Foggy is standing in front of a calendar marked 2015. 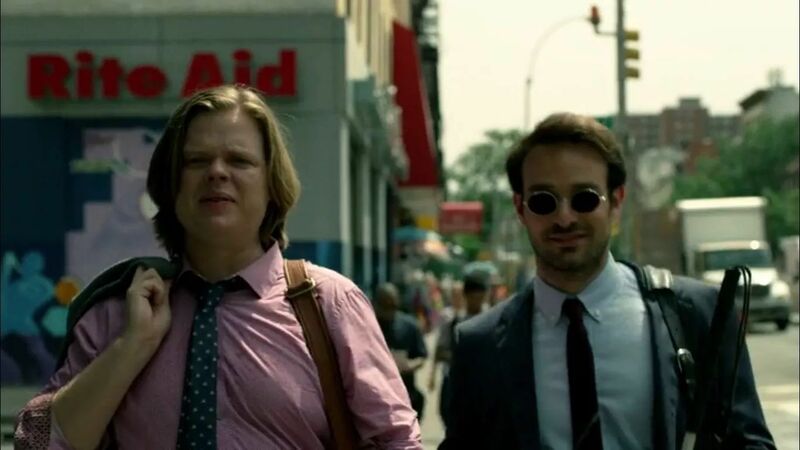 If Daredevil’s current day is set in 2015, that would mean that the two leading lads crashed a party together five years before they even met. On top of these confusing timelines, the calendar behind Foggy also switches between the months of September and December in the very same scene. Even though Netflix’s Marvel superhero shows belong to the MCU, they seldom reference their silver screen companions. A rare exception to the rule is a newspaper clipping from the show’s third episode. 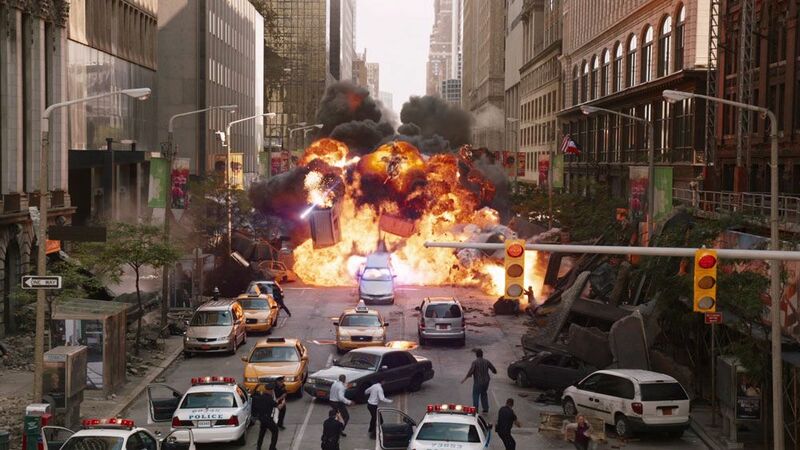 The page comes from the New York Bulletin and reports on the Battle of New York — the final scene from The Avengers. 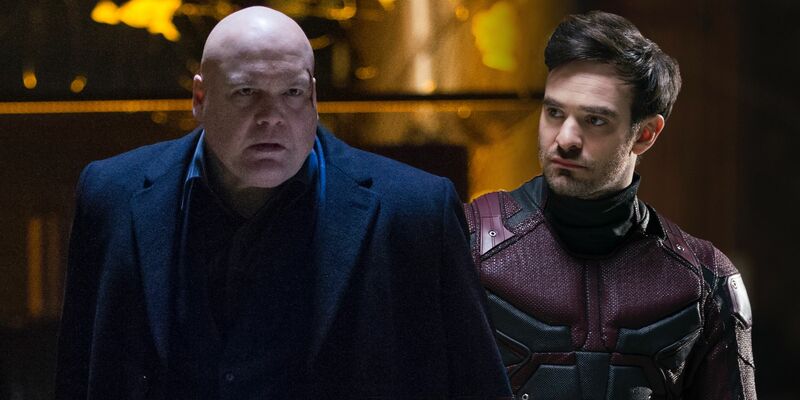 Daredevil‘s plot takes off from where The Avenger‘s left off, but from that point on the two realms diverge. In Captain America: Civil War, the battle reportedly resulted in 74 casualties, while in Daredevil the final toll is in the hundreds. The discrepancies are never explained and seem to be an oversight. In the ninth episode of season two, Karen discovers a newspaper article that reports on the passing of her brother. The article claims that he was “heading east on Vermont Route 12 from the Hill Road exit ramp off Interstate 89,” but this drive would be impossible. Vermont Route 12 does not head eastwards; the road stretches from north to south. There is also no exit that links I-89 to Hill Road, in fact, the closest exit is ten miles further north. The article also states that the accident took place in Windler County, but there is no Windler County in Vermont. When Ben’s editor Ellison refused to print his expose on Fisk, the dedicated journalist challenged his motivations. In response, Ellison swiftly fired him and told him to clear out his office. By the end of the episode “The Ones We Leave Behind”, Ben was locking himself into his apartment with a cardboard box in his hand. Among his packed possessions were the pictures that had been hanging in his office. In the following season, Karen managed to gain access to Ben’s former office. When she entered his workroom, all of his belongings had suddenly reappeared. Not only was much of his old research placed conveniently on his desktop, his pictures were also hung back up. Ben met an unfortunate end after he cleared out, so there is no way he could have moved his things back in. When Frank Castle comes to Karen’s rescue in season two’s penultimate episode, he sends shivers through the forest. Karen had stumbled upon the Blacksmith’s smuggling ring and was forced to drive to a remote location at gunpoint. Castle intercepts the vehicle and drags the Blacksmith off to a ramshackle hut in the thick of the woods — most likely to exact his own brand of justice. 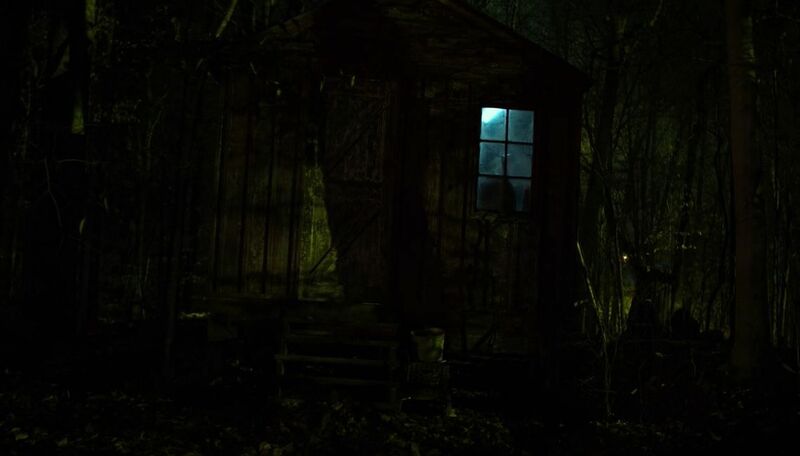 If you keep an eye to the right of the shed, you can see something moving in the forest. It looks a lot like a moving bush, but it is probably just a crew member unaware that he or she was in the frame. Jon Bernthal delivered a truly unnerving performance, so one cannot fault the crew — or the flora — for taking a step back. Daredevil‘s one-shot fight scenes have become one of the show’s most controversial elements. Many fans and critics have deemed them the greatest fight scenes in television history, while others have grown tired of the one-shot gimmick. Despite their artistic merits, long takes come with some obvious challenges. They have to be meticulously organized and involve a lot of revolving components. If a mistake is made, the whole scene has to be acted out again. As a result, minor mistakes often make it into the final cut. In some instances, they end up being a blessing in disguise, but in Daredevil‘s case they often distract from the action. 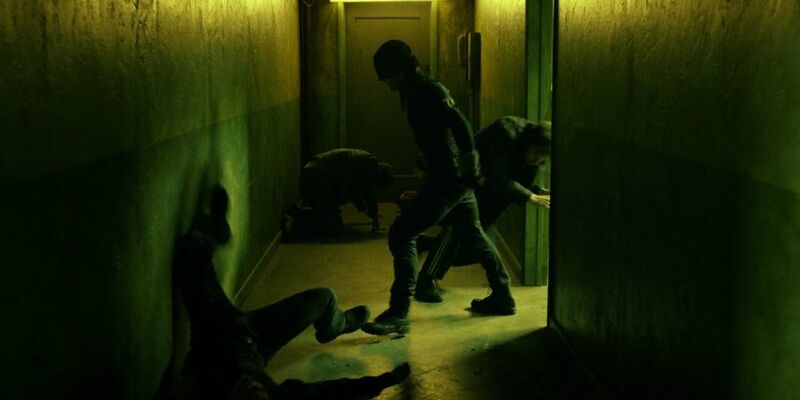 In the infamous hallway scene, for example, a few of Daredevil’s kicks and punches clearly do not land — despite their targets pained reactions — and come across as inauthentic. 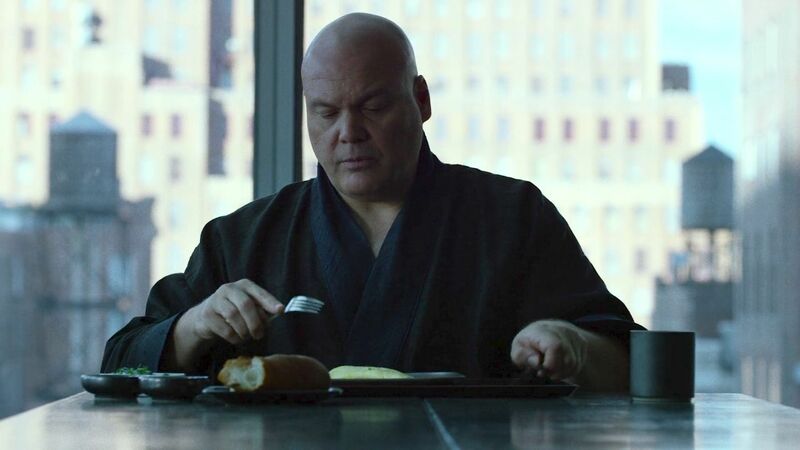 Wilson Fisk’s eating habits are cause for not one, but two separate entries on this list. At the beginning of season one’s eighth episode, the aspiring crime lord is preparing a morning omelet, as per usual. D’Onofrio seems to be using his own hands this time around, but another curious thing takes place in the middle of breakfast. While Fisk is cooking in the kitchen, it is still completely dark outside, but as he walks into his dining room the sky is completely light. Outside conditions can change quickly at dusk, but this is an extraordinarily swift sunrise. How far does Fisk have to walk to get to his dining room from the kitchen? Daredevil spends his nights protecting the streets of Hell’s Kitchen from violent criminals, but by day he protects accused offenders from the long arm of the law. In season one, Matt and Foggy open their own local law firm aimed at defending the wrongly accused. The duo struggle to keep their business afloat, mostly due to Matt’s sporadic absences. One day he does show up for work, however, the masked vigilante take a curious path. As Foggy and Matt are walking to work, a sign that reads E 118 can be seen clearly in the background. East 118th street is on the other side of Manhattan and reveals that the crew was filming far from the show’s supposed location. Getting all possible kinks ironed out for a television show can prove challenging. This is especially tricky when it comes to a superhero show with a well-established and informed fan base. 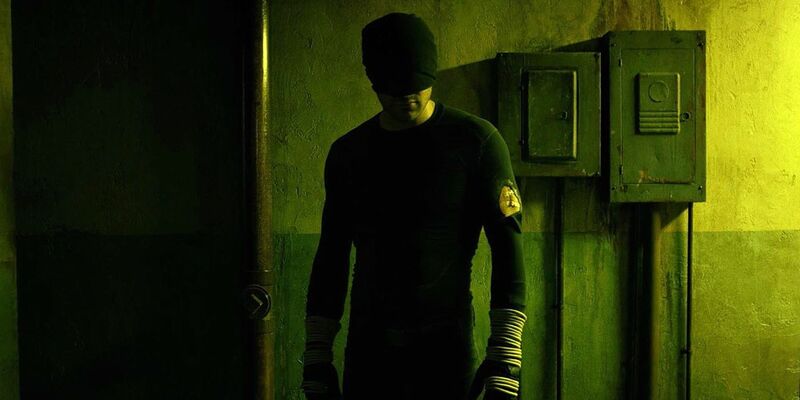 Daredevil, however, has pleased fans across the board and is lauded for its accurate portrayal of the comics. Unfortunately, the show’s acute attention to the comics may have come at the cost of its other elements. It turns out that Daredevil‘s depiction of the legal system is riddled with inaccuracies. District attorneys who threaten fellow attorneys or plot to terminate members of the public only exist in juicy courtroom dramas and stand in stark contrast to Netflix’s otherwise realistic approach to the superhero universe. This entry is not so much an error as a common fabrication. 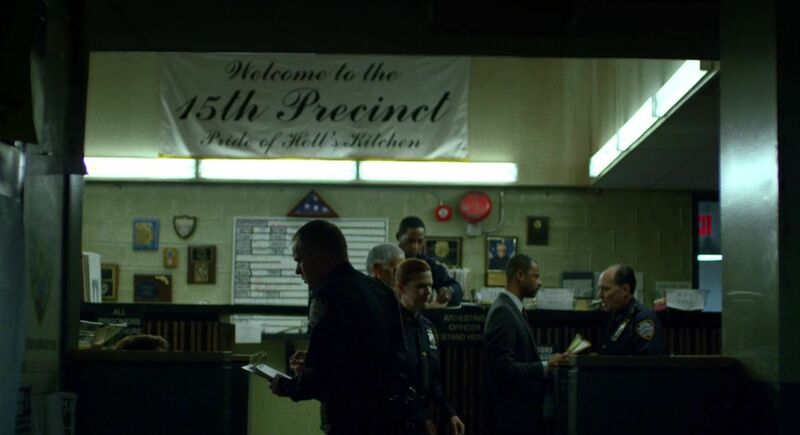 Fans of the show will probably remember that the Hell’s Kitchen area is serviced by the 15th Precinct Police Station. This precinct does not only appear in the Marvel Universe– it is also featured on Law and Order and N.Y.P.D Blue. Despite its frequent mentions, the precinct can be hard to track down. This is because New York’s 15th Precinct does, in fact, not exist. 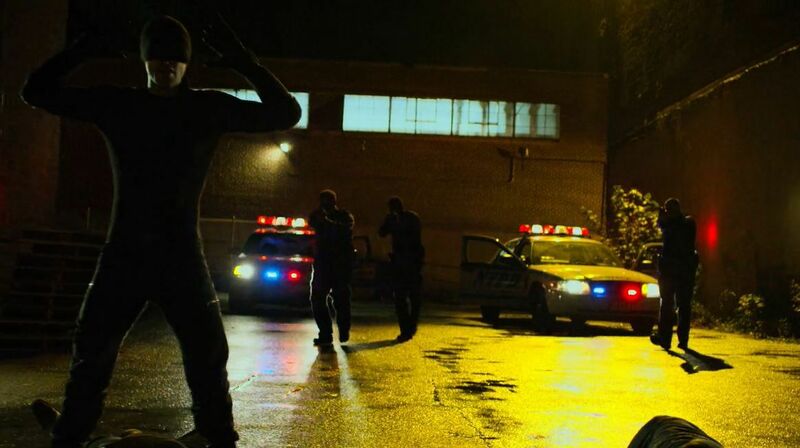 Television shows and films are reportedly not allowed to use the names of real precincts for fictional purposes. Instead, writers scavenge among New York’s unused precinct numbers for their shows. In real life, the Hell’s Kitchen area is serviced by the Midtown North Precinct. Despite his imprisonment in season two, Fisk manages to maneuver the world around him with surprising ease. Helping him in his endeavors is what seems like a bottomless stash of cash. 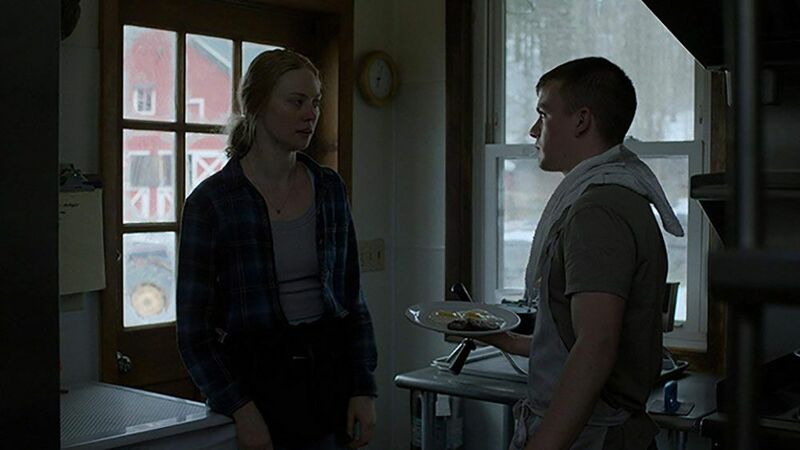 Given that authorities froze his assets when he was locked up, Fisk’s access to bountiful funds may indicate that writers were using artistic license to move the plot along. On the other hand, Daredevil does not shy away from the corruption that permeates Hell’s Kitchen. Fisk could be calling in favors and collecting debts from behind bars. It certainly would not be out of character for the formidable Kingpin. Daredevil’s abilities are never fully fleshed out in the Netflix show, and as a result his capabilities vary significantly from one scene to the next. Sometimes, they even vary quite a bit within the span of a few seconds. 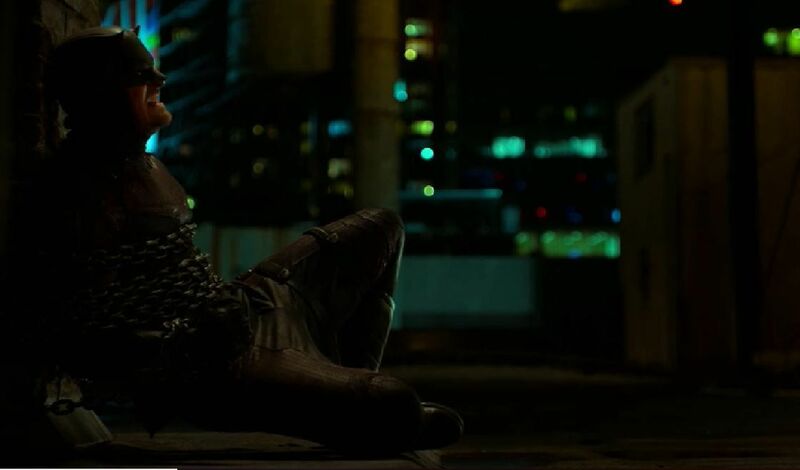 In the hallway scene, for example, Daredevil stumbles over a man lying on the floor. As he gets back on his feet, he walks towards the door at the end of the hall and opens it without difficulty. His heightened senses could apparently detect that the door was locked and where exactly this lock was located. Later in the season, he even senses a hammer inside a toolbox and the show repeatedly points out that he can hear heartbeats. With all of these advantages in his repertoire, there is no logical explanation for why he would fail to notice a large unconscious man lying beside him. Before Daredevil‘s release, advertisers teased the presence of the Avengers Tower on promotional posters for the show. However, when the show finally premiered, the tower was nowhere to be found. In shots of the New York skyline, the tower’s location was in fact inhabited by its real-life occupant; the MetLife building. A few months later, Jessica Jones got a similar treatment. As Netflix continued to churn out Marvel shows, fans took to the web to voice their confusion. Executive producer Jeph Loeb eventually addressed the controversy with a curious comparison; “Where we’re sitting right now, I can see the Empire State Building, but if we were sitting 30 blocks that way, I wouldn’t be able to see the Empire State Building. That doesn’t mean it doesn’t exist.” The tower’s omission remains one of MCU biggest continuity issues. Did you catch any other mistakes in Daredevil? Let us know in the comments! Previous: Does Overlord Have A Post-Credits Scene?